As a proud owner of the original v2 Siberia headset I can honestly say it’s an amazing headset which is comfortable even after a good few hours of constant gaming. The Camouflage colour scheme of the CounterStrike Global Offensive version is a nice touch if you want a more military feel rather than the orginals iPod feel. Really cant go wrong with this headset. Both mic quality and sound perform great and the closed cup really cancels out the background noise just be careful you don’t wake everyone up whilst shouting at your screen! lol. – 50mm driver unit with crystal clear sound in high, low, and mid-range ensures quality output for multiple uses. 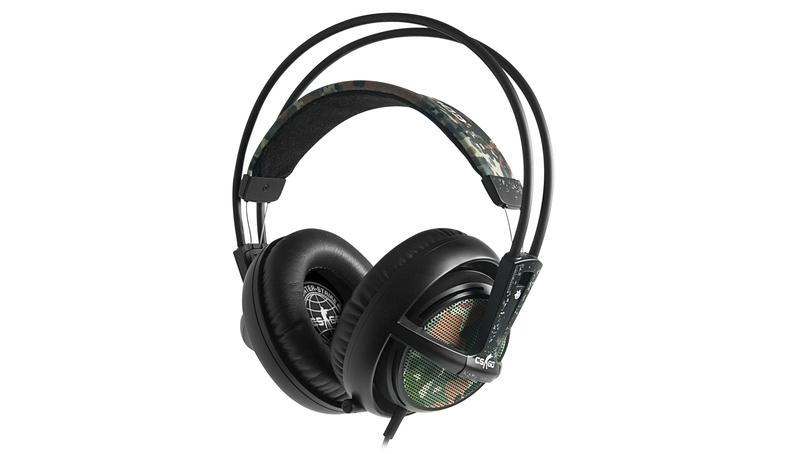 Best place to buy SteelSeries Siberia v2 Counter Strike Global Offensive Headset?